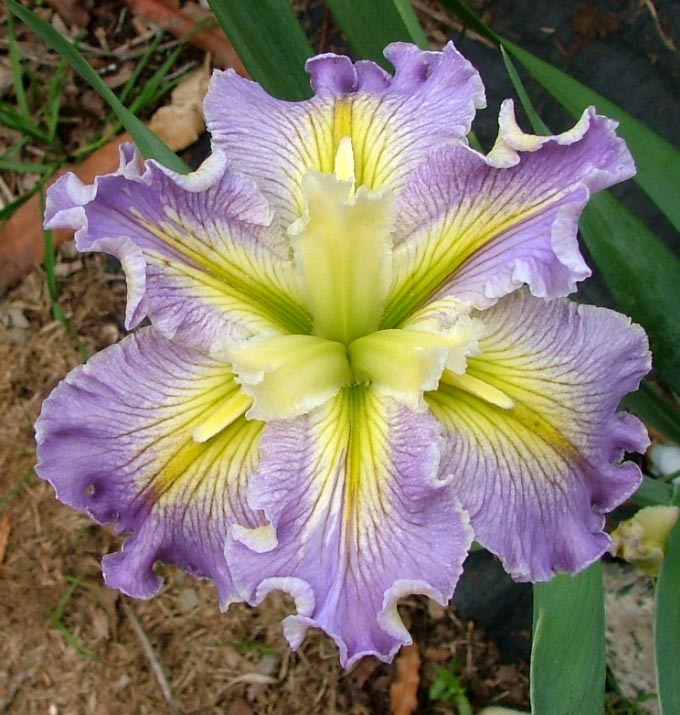 From Iris City Gardens catalog 2016: NANCY TICHBORNE (Pryor 2010) 36" M-L. 8.00. Mid lavender self. Standards with lime line signals and white luminata area around. Falls with a raised, elongated white steeple signal and lime line signals with white luminata area around the line crest. Style arms pale lemon-lime, pale lavender tips. Highly ruffled and rounded flower. Named for New Zealand's premier watercolor artist.